Global logistics company UPS have recently applied for a patent to use blockchain technology in their delivery processes. Amongst other benefits, the company is hoping that the technological innovation will increase efficiency when routing packages across multiple carriers. According to SupplyChainDive, UPS are looking to explore the implications of blockchain technology in a much wider capacity than was previously believed. The company joined the Blockchain in Trucking Alliance (BiTA) several months ago to help promote trust and improve efficiency when making transactions. 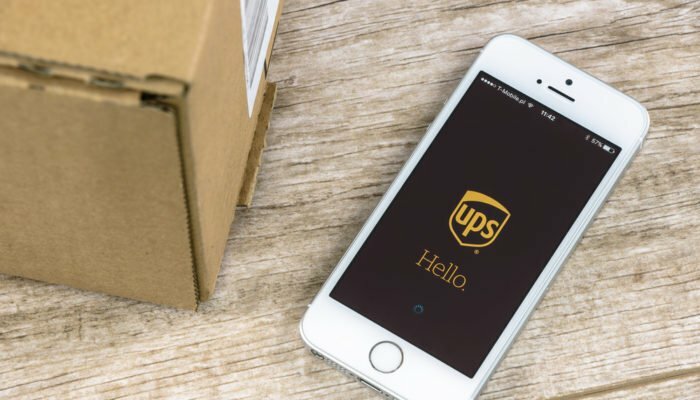 At the time, UPS had stated that it hoped blockchain technology would be primarily used in line with their customs brokerage business. However, the patent application, which was submitted on Thursday, shows that UPS are taking a much wider interest in the technology. It explains that the company’s customers are seeking greater transparency in terms of deliveries, as well as faster, cheaper shipping. It is believed that the blockchain technology may be one of the tools needed to streamline services in such a way that the benefits will be felt by the customers themselves. The patent also mentions the phrase “automated determination.” It seems UPS plans to use the software they develop in conjunction with their blockchain system to allow for greater efficiency in terms of creating optimal routes for packages without the need for human involvement. Also mentioned in the patent is that packages will be able to be fully tracked as they are picked up by different carries. This will allow for payments to be made at each step in the delivery. The delivery itself will provide the trigger for payment, rather than requiring an additional action by the carrier. Finally, the document also states that “virtual currencies” may be deemed acceptable methods of payment in the system. This would be good news for those hoping to see greater adoption of digital assets such as Bitcoin and Ether. As the implications of the blockchain become more fully understood, we are beginning to see additional uses of the innovation. Already this year, NewsBTC has reported on potential use cases in the fishing industry, as well as meat suppliers. By using distributed ledgers, items can be tracked from point of origin right to their end consumers. This will disrupt the way some companies and government bodies can do business, creating improvements in terms of efficiency, as well as a reduction in cases of fraudulent products being passed off as something they are not. UPS Files Blockchain Patent to Increase Delivery Efficiency was last modified: August 20th, 2018 by Rick D.